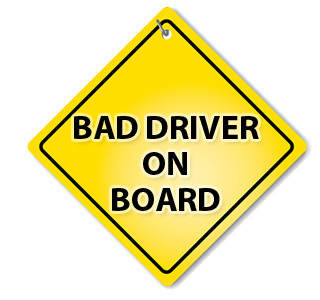 Lots of drivers are bad drivers. Sure, I've made mistakes. I've taken my eyes off the road to look at a passenger or something beside the road that caught my eye, and have nearly run off the road in the process. So, yes, I make mistakes when driving. We all do. But some people? They seem to have no clue what they're doing. Like when they stop -- completely stop -- in the road because they have no clue what to do. The green light, or the "Right Lane Must Turn Right" sign don't seem to provide any insight. Neither does the sign that says "US 80" with a sign pointing left. These things are no help to some drivers. Those drivers are clueless. And I've noticed one thing about many of these drivers: Obama bumper stickers. Oh, not all of them. But enough to know that when I see an Obama bumper sticker, I need to watch out. Particularly all these months after the election when they still have the bumper sticker "proudly" showing their support. So, I wondered about this. What kind of person would still be proud of their support of Barack Obama? A dumbass, perhaps. And their driving habits -- driving like a dumbass -- supported this theory. 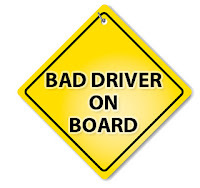 So I began watching for Obama bumper stickers and bad drivers. Now, to be fair, not every bad driver has an Obama bumper sticker. And not every Obama bumper sticker is on a car I've seen driving poorly. But there is enough of an overlap that I'm seeing a connection. Oh, and there's that one other thing: Obama supporters not only drive like hell, they're driving the country there too. We need to revoke their licenses.